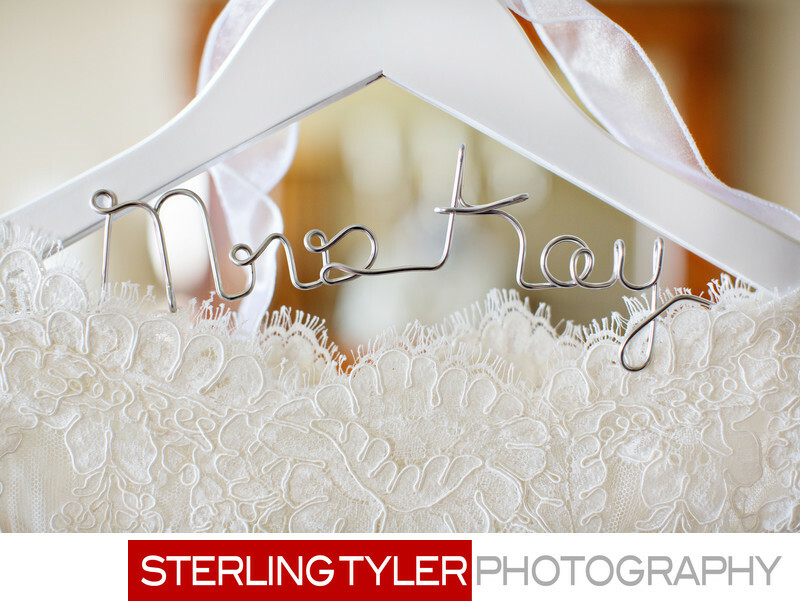 The brides white lace gown is hung by a white custom etsy hanger with her name made out of silver wire. Photo taken at the Sheraton Universal Hotel. Location: Sheraton Universal Hotel, Universal City, California .